Oliver is a little town located at the south end of the Okanagan Valley. 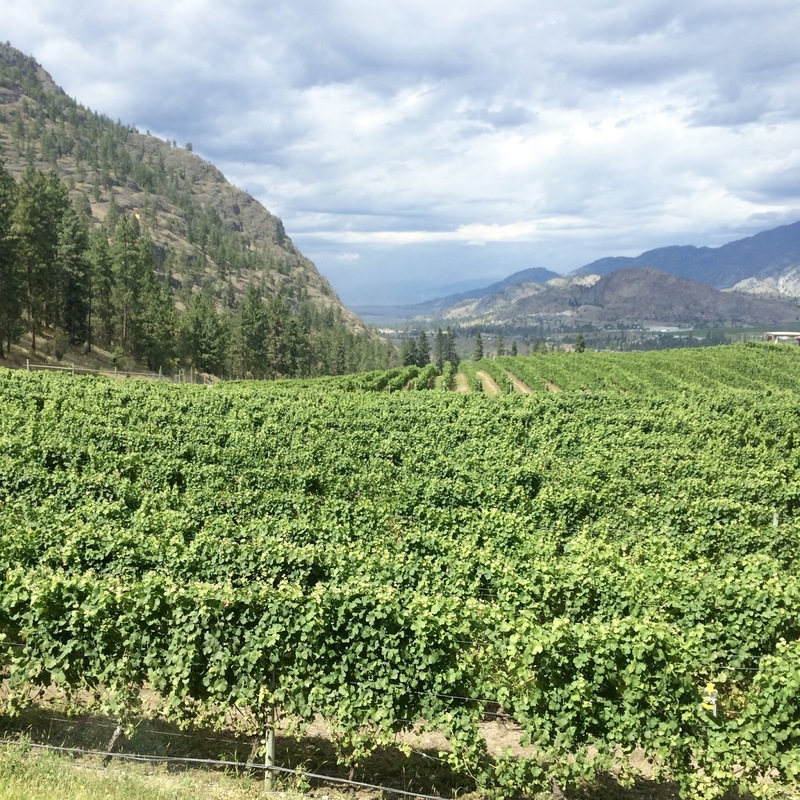 It's known as the wine capital of British Columbia with over 30 wineries in it's 4.8 square kilometre radius! I try to go every year to visit my grandpa who lives up there. Over the August long weekend my husband and I made the drive (about 4 hours) up there and we had so much fun. 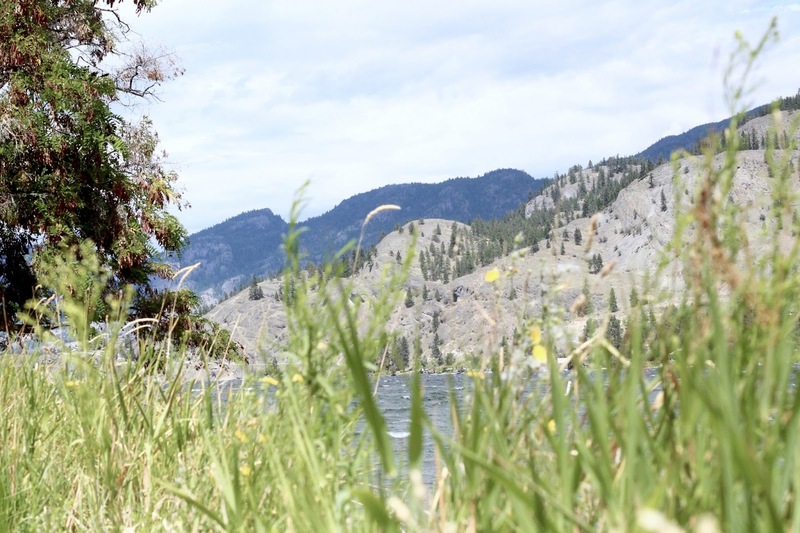 We had a few items on our agenda including floating down the Penticton channel, visiting the wineries, going to the beach and eating lots of ice cream! Penticton has a few nice beaches to visit, but they can be quite crowded with people. We opted for a smaller, quiter beach called _____ to optimize our rest and relaxation. For ice cream, we typically visit Tickleberries everyday, but they've changed management in recent years and sadly I don't find the taste to be the same. We now go to Medici's for gelato and it's all made in house! I couldn't believe it was my first time visiting this place because it's literally down the street from my grandpas house but I was so happy I finally did! 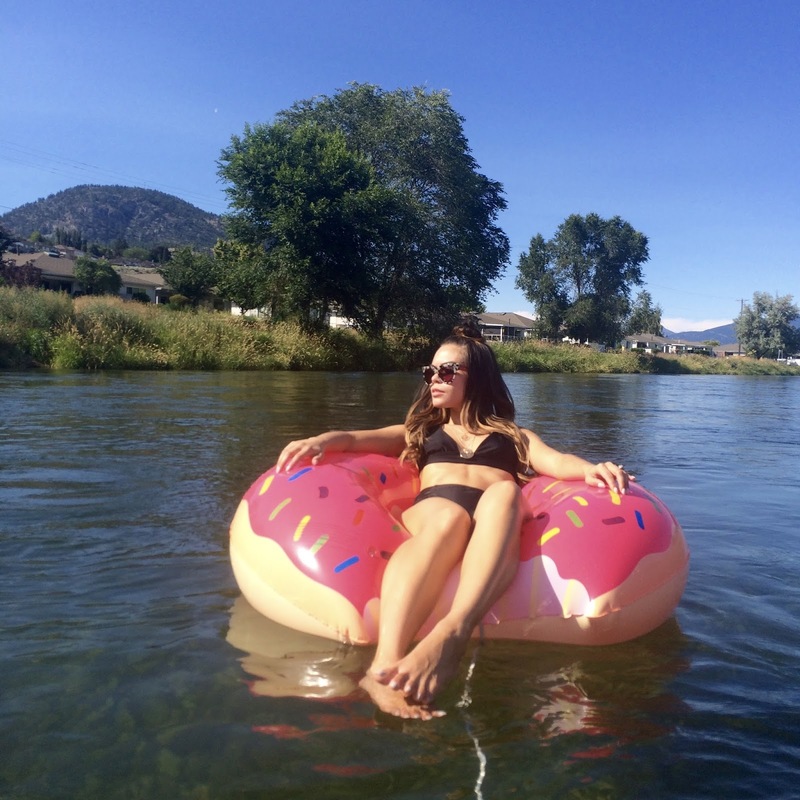 Floating down the Penticton channel is a hot tourist attraction. I've done it once in the past and remembered having fun, so I wanted to try it again. If you're planning to float down the channel, I recommended going on day where there is little to no wind. You will spend half the time trying not to get stuck in the branches or pipes located at the edge of the channel. Also you may want to forgo this activity if you're not tolerant of a young party crowd. We only made it to one winery this time: See Ya Later Ranch. I would definitely recommend a visit here! The drive up to the estate is so beautiful and there wasn't one wine I tasted that I didn't like. I also loved the fact that a portion of their tasting proceeds benefitted stray dogs needing to find homes. All-in-all the hubby and I have a blast every time we visit Oliver. It's so close to many neighbouring cities, you could never get bored. If you enjoy being outdoors, wine, beaches and ice cream, I would definitely recommend a visit here! Thanks Girl! I really did! Following you now. 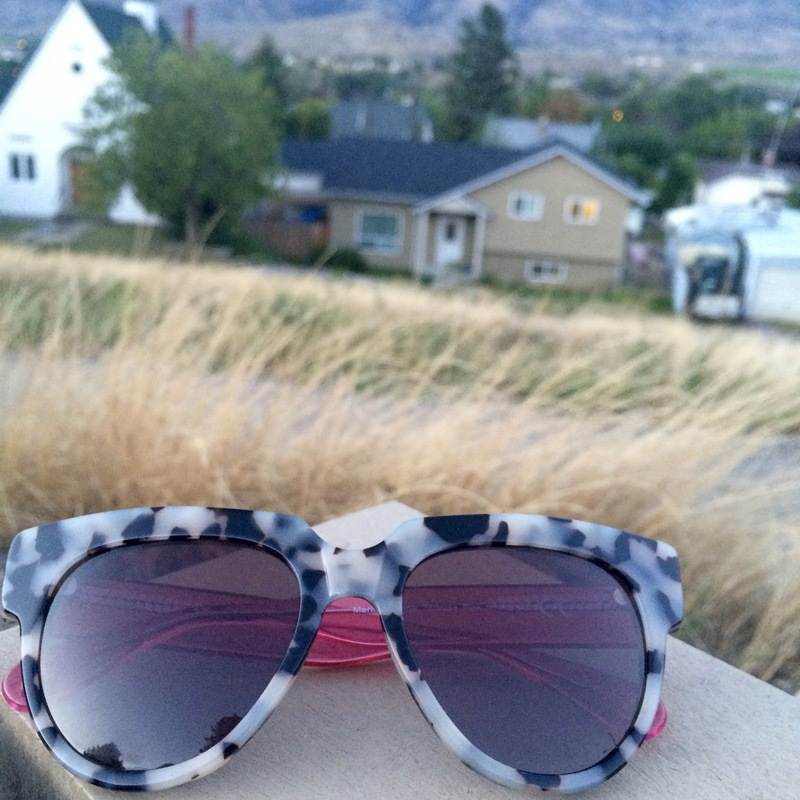 What an absolutely stunning spot Rina! It looks so gorgeous, charming and peaceful. I love that first black swimsuit, talk about hot! Thanks Kasie! You are so sweet! It is so peaceful there.. You really feel relaxed when you return. So stunning Rina! I need that swinsuit. Thanks Raysa! It's super flattering with the high waist bottoms. Lovely post! I didn't know BC had wineries. If I go there I will definitely check them up. I loved Niagara's wineries in ON. Your black swimming suit is very cool! Love the vibe. Thanks babe! It has tons! Especially the Okanagan. You shoould check it out if you decide to visit! We really did <3 Thanks love! 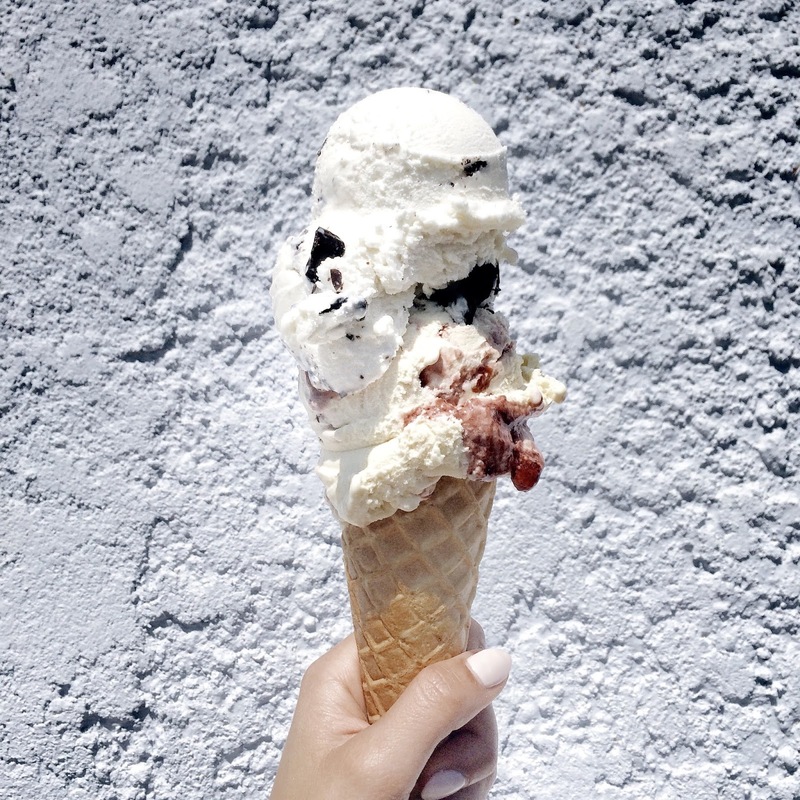 That ice cream is making my mouth water... Adorable swim suits!! Thanks babe! They're my fave! How stunning you are! I adore the black bikini, so perfect! Aww thanks babe! I love your blog! Totally loved this. Wishing you a fantastic day. It was <3 Thanks babe! so pretty bathing suits are stunning !! the bathing suits are very beautiful. you are rocking that bikini! You can't go wrong with water and wineries! Haha. Sounds like an amazing time and looks so relaxing. And dang girl, you are looking great in that swimwear! I would be so nervous to have my photos taken haha. Your confidence really shines through. Hope you are having a great week! You really can't! Don't be ridiculous! You have no reason to be nervous, you're stunning! Wow, Amazing place and Great pics!!! I love your swimsuit Rina! Thanks babe! I'm so glad too! Loving your blog! I love the donut float!! You looks prefect.Would you like to follow each other on GFC & Google+? Let me know if you follow me and I will follow you back. Oh my goodness! You look amazing in bikinis and it looks like such a gorgeous place, WOW! You must have had an amazing time there. Jealous! Aww you're so sweet Lorna! It was a very relaxing mini getaway. Aww don't be babe. You are stunning! You look amazing in the bikini! Great post! My sister in law lives in Penticton and we have been meaning to visit her but so far no chance yet! My MIL and I have been wanting to go for the wineries tour, it would be so much fun. I absolutely adore your outfit with the denim top and black shorts, so effortlessly chic! Oh you definitely need to then! So many good wineries you'll have such a blast! Love all of your looks! Hope you had a great time! Thanks Nicole! I really did! Seriously love your bathing suit! Sounds like a perfect weekened. I have never been to a winery but want to go to one so bad! Thanks babe! It really was! You should definitely check one out! Thanks gorgeous! Loving your blog!